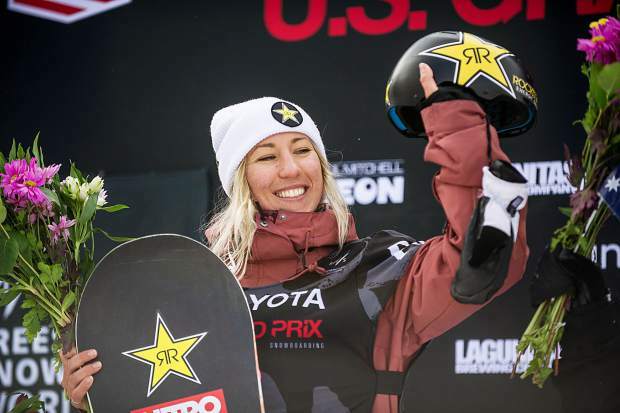 New Zealand's Christy Prior is all smiles on the podium after winning the women's snowboard slopestyle finals at the U.S. Grand Prix in Snowmass on Friday. Prior won with an overall score of 77.06, Reira Iwabuchi of Japan took second, and Tess Coady of Australia took third. 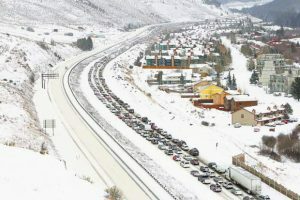 While the weight of the world has been on the Americans this week at the Toyota U.S. Grand Prix in Snowmass — one of the final proving grounds for those wanting to make the U.S. Olympic team — it doesn’t mean the World Cup event isn’t a big deal for the international athletes. 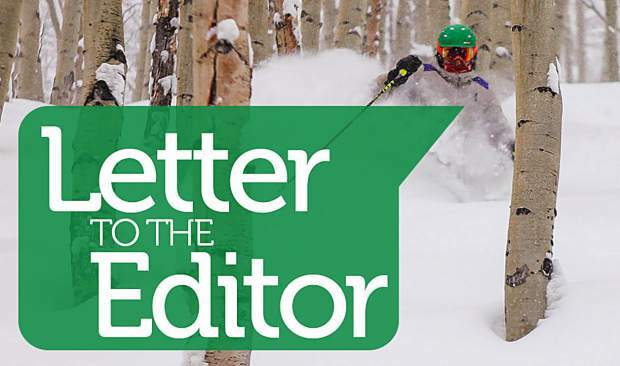 For example, Christy Prior was desperate for success in Snowmass as she is vying for a 2018 Olympic spot with New Zealand. She came through, winning the women’s snowboard slopestyle competition Friday to boost her chances at making it to Pyeongchang next month. There is still a World Cup event next week in Laax, Switzerland, that will determine whether Prior gets to return to the Olympics, although she feels she is in a good spot. Prior competed in slopestyle at the 2014 Games in Sochi, making it into the semifinal round. After runs of 56.52 and 22.30 in Snowmass, she wasn’t in a good spot heading into her third and final run of the competition. No problem for the 29-year-old veteran, however, as she put down a final run of 77.06 to get the win. Japanese teen Reira Iwabuchi was second with 76.48, and Australia’s Tess Coady third with 75.42. Canada’s Jasmine Baird was fourth in Snowmass with 72.14, while Idaho’s Jessika Jenson led the Americans by taking fifth with a run of 64.16. The only other American in finals, New York-native Ty Walker, was seventh with 51.52. Jenson and Walker, both 2014 Olympians, are in a close battle for a 2018 Olympic spot. After four of the five U.S. qualifying events, slopestyle legend Jamie Anderson and up-and-comer Julia Marino are 1-2 in the U.S. Olympic team selection standings. Anderson, the reigning Olympic gold medalist, is already a lock for Pyeongchang and didn’t compete in Snowmass. Marino, as well as California teen Hailey Langland, who is currently fourth in the Olympic team standings, didn’t make Friday’s finals. Marino, Jenson and Langland are tied for second with 1,600 points each, although Marino holds the advantage because of her podium finishes. Jenson is still in search of her second qualifying podium.